Word N Sound is honoured to be hosting Napo Masheasne at our upcoming Word N Sound Poetry And Live Music Festival. She is a writer, director, producer, poet and acclaimed performer on both international and national stages. We caught up with her to find out about her passion for words, the politics on gender in writing and of course the Festival. 1. How did your love and passion for poetry come about? – My father was a teacher, a visual artist and lover of African literature. My mother was a good storyteller; she shared with me all Sotho folklore, fairy tales and the richness of our Sesotho language (idioms, riddles and proverbs). All this fascinated me and allowed me to create a world in me that I knew little of. These childhood made it natural for me to place the world I knew between the pages of my journals. And later those stories inspired poems.. which made me a poet. – I have always been a writer (with or without being paid for it). I took interest in being a poet, director or producer at the drama school when I realized that there was more to theatre making than just being an actor and or a performer. But also there were no female playwrights and directors in the whole drama department, so on my third year I decided to major in both genres. To answer you… there are enough performers in our industry. But what I know is that we don’t have enough female initiators, writers, storytellers and directors who can tell our stories with passion, discipline and dedication. – It’s a privilege and always a good opportunity to be with a different kind of an audience. I am grateful to WNSF for allowing me to share more of my work this time again. 5. You’ve performed on plenty international stages, have you found any major differences between the poetry in this country and other countries. – The outside world appreciates you if you bring to their stage a unique voice, which is not a replica of what they already have. Here at home the competition is tight, but pushes one to constantly innovate and reconstruct the work of words, especially if you want to appeal and attract new audiences and clients. Also if you are a writer and you travel, you get to appreciate the world you are born in more and to appreciate the different cultures around the world for what they are, both worlds can make your voice bigger and firmer. – My first anthology was more about Identity and Spirituality. But I used it also as a way of measuring my growth as a writer. Sometimes it’s good to put your work in a book, to go through it and to pin point mistakes from it so that your next work of words can be better. 7. What inspires you to keep writing and performing. – I have been a cultural activist for more than ten years, during which I have worked my self from being an actor and poet into being a playwright and a director. I have allowed my self to engage in writing and directing programs and use different avenues to grow confidence in the world that does not make it easy for women to own/tell their stories. I have branded myself as one of the few black female directors/poets in South Africa. I create poems, breathe life into them until they reach the stage. There are stories untold by us… stories that we share when we plait each other’s hair or when we cook and gossip during family gatherings… stories that seem hard to leave at our kitchen tables. And both poetry and theatre have allowed me to give these stories names and voices. – Many things inspire me… many writes and ordinary people push me to become a better writer. But most of all my own life and the experiences that I face make me to want to tell my story and share it with the world. – To name one will be unfair… a poem can come out of me because of a song I hear from a foreign musician… or after watching a movie by a Ghanaian film maker. A poem can come out of me because Marikana incident provoked me or after I read a painful story… or after I see another poet describing love or painting pictures in my mind. – I hate it and totally despise it. I believe we each have our unique individual “Poetic Voice” that can contribute hugely in the poetry movement or in this genre or craft. It is and it will be sad for one to measure her self or him self against the other, instead of working together towards developing the culture of writing, reading and performing poetry in this country. You can catch Napo Masheane alongside Joshua Bennett (US), Mutle Mothibe, LoveGlori, Afurakan and Yrsa Daley-Ward (UK) at the Word N Sound Festival, 6 Oct, at Emonti Diner on Bree, Newtown. WHAT: Word N Sound Poetry & Live Music Festival 2012 – Feat Yrsa Daley-Ward (UK), Joshua Bennett (US), Napo Masheane, Mutle Mothibe, Afurakan, Love Glori + WNS Open Mic Poetry League Finale. Word N Sound Festival is excited to announce the inclusion of Yrsa Daley-Ward as a headliner at this year’s festival scheduled for Saturday 06 October. The Word N Sound Festival is part of the Word N Sound Poetry Development Series, a youth writing and performance project which is not so much a commercial venture as an attempt to make a positive impact on youth in the city. Starting at 12 mid-day, the festival will kick off with The WNS Open Mic Challenge finale, where 5 finalists will compete for the title of Word N Sound Open Mic Champion and a grand prize. The Word N Sound Open Mic Challenge also known as the WNS Poetry League is an annual, 9 month long, poetry open mic challenge aimed at unearthing Gauteng’s aspiring writers and performance poets. Word N Sound Poetry & Live Music Festival 2012 is proudly sponsored by – British Council, Loxion Kulca, Look & Listen, Nixon, Rora and MindMap SA. Press accreditation is available for practitioners wishing to attend the festival and requests should also be sent to the above listed person. The 2nd installment of the Word N Sound Festival is on the cards. After last year’s humble beginning, the 2012 festival will raise the bar another notch. Spread the word and keep your eyes on this event page for more exciting announcements as we build up to the most epic poetry festival in South Africa. 1. 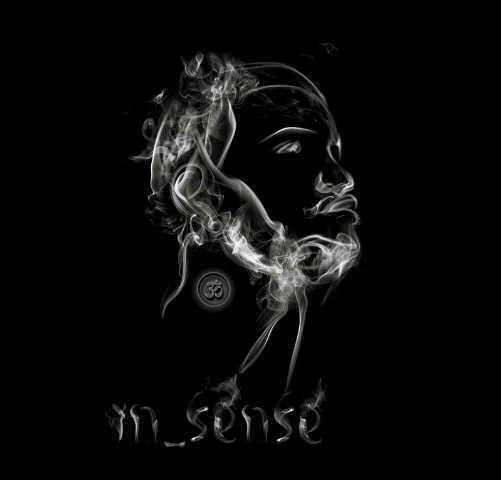 You’ll be releasing your album ‘in_sense’ soon, what can we expect from this offering and how is it different from your previous projects? Well other than being a solo project in comparison to my other collaborative works… It’ll be more a reflection of how I want my art to be experienced. I’ve been sitting next to our producer (Mo’kata) on the production of every single track. I told of lil add one he should put in the tracks and also the feel I wanted for the whole album. Before he and I went into studio I gave him the sort of music he should expose himself to before working on mine and by the time I stood in front of our mic our goal was set and the by product has been nothing but perfection. People should expect me!! A bit of the old ,a bit of recent works and also future works I’ve been working on in my brake from the scene of late. 2. Which other poets/artists did you work with in putting this album together? On this album I only trusted 2 beings and had them to critique every recording. Thabo Ellipsis and Mohale Mo’katalyst were the only two people I worked with on this album. 3. Why did you choose the title ‘in_sense’ ? In_Sense… Hmm… Well I chose it after looking at incense sticks and what’s associated with such… which is meditation, calmness, Zen or whatever words people now use for Presence. Most times when I talk I struggle to articulate my feelings and thoughts freely…(Which is a phenomena I’ve come to spot in most artists) yet when I sit down, concentrate and calm down I can model my thoughts better when using worded artworks. So In_Sense was taken from that… All the works in this album came from A Sense of awareness… When everything I am synchronizes to help produce the artworks I’ve shared. 4. You are also a member of the poetry collective ‘INAUDIBLE’, are you guys working on anything as a collective or will you be focusing on your individual projects from now on? No, for Now… I’m concentrating on my individual work and Inaudible crew is baking me up so I can realize all the goals I have for this album. We do future works we’re planning and my album is only a small step in the bigger picture we’ve mapped out. 5. Being a full-time artist comes with quite a few challenges, but what would you say are some of the joys that come with being able to focus on something that you are so passionate about? I think the one huge plus I’ve gained is Humility. I’ve been able to humble myself and see what it is I have. I’ve learned the value of friends that have my back even when I don’t believe in my choices, Family has become such an important part of my life and the importance of unity and unshakable faith from people is insanely amazing. 6. Do you always have a purpose when you start writing a poem? Not always. My private poems don’t have purpose most times… Unlike almost all the poems I share are more cerebral, well planned, researched and the performances structured. 7. You were one of the finalists at last year’s word n sound open mic finale where you came 2nd place, who do you think is taking the King Of The Mic title this year? I haven’t always been around to hear the announcements of the King/Queen of the mic but I do make note to find out who took the title… When looking @ the point system that’s been used through out the year and also how many time Masai has won the King of the mic… I think its safe to bet my money on him taking the title again. 8. You are also one of the guest performers at this year’s Word N Sound Festival, how are you feeling about that and should we expect any special surprises? 9. What are your plans after the release of your album? Will be taking that album any place imaginable or accessible. I will be doing a provincial tour to maximize sales. 10. There are lots of opinions out there about what poetry is and how poetry should look and sound like. Please tell us what poetry is to you? Aah Poetry… Ya Ne… I think Poetry is relative to where a person is (mentaly, spiritually and emotionally) and is such a subjective take from person to person. I don’t know what poetry is ,what it should look like, what the dominant standard voice of it should sound like (well also I’ve found it funny that we mostly try find poetry’s face but when that happens we try stay away from that standard calling it cloning or a certain style, replicas and talking about finding your own voice. )I struggle with that and have resigned from trying to box it lol. 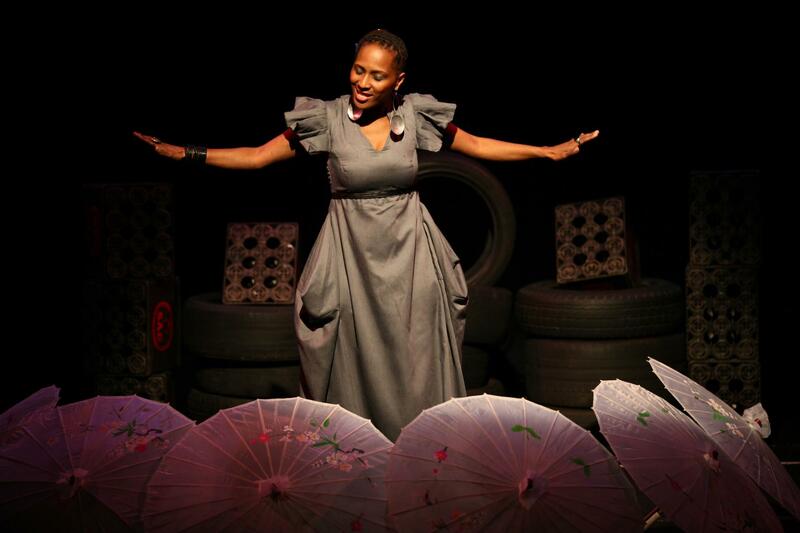 Mandi is a 25-year-old descendant of Soweto who has finally surrendered her life to poetry. A writer, poet, dreamer and an ambitious fierce brave woman who will fight for everything she believes in. Her. motto in life is “if you can dream it, you can be it” and her love for poetry was influenced by her passion for art. She began writing poems plays and has since never looked back. 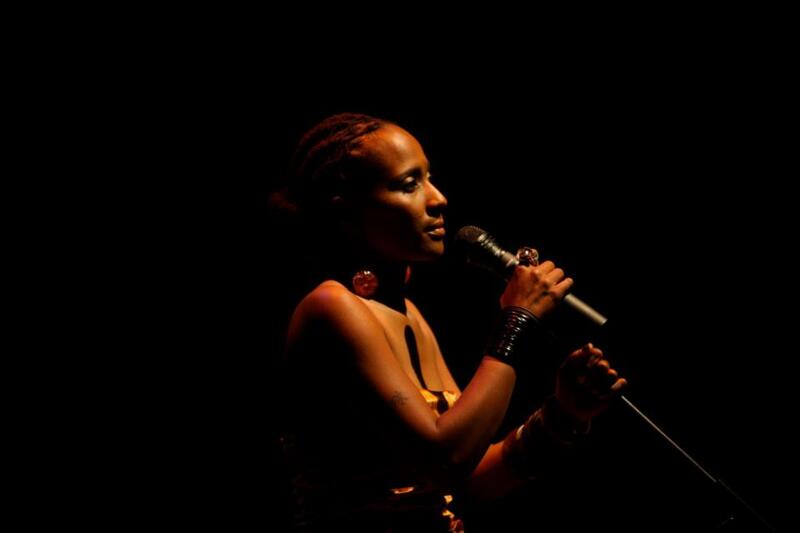 Mandi’s commitment to poetry has seen her share a performance platform with Myesha Jenkins, Natalia Molebatsi, Lebo Mashile, Phillippa Yaa De Villiers, Napo Masheane, Afurakan, Kabomo, Likwid tongue, Antonio David Lyons,Tumelo Khoza, has performed with Pops Mohamed and has opened for Canadian poet Ian Kamau. Her larger than life attitude propels her in all that she is, all that she does and everywhere she goes. 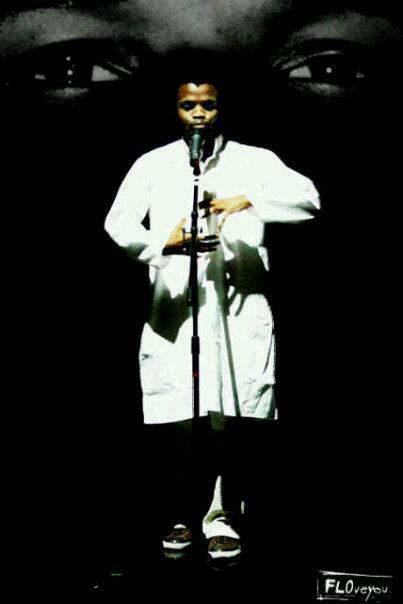 Sibusiso “Conelius Jones” Simelane is a spoken word artist from Johannesburg (East Rand), Sbu created the character Conelius Jones, a time traveller, with the purpose finding a creative and unconventional way of speaking about various issues in society. He has been writing and performing for four years now and is very passionate about his craft. He believes that both performance and content play a major role in performance poetry and this is exactly what he offers his audience the minute he steps on stage. This young man’s words are sincere, his graphic imagery evokes a sense of ‘I was there” in the listener, and all of this is accompanied by a powerful, pleasantly daring and captivating performance. Ahimsa was born Firen Sebatagane, in Atteridgeville. west of Pretoria. His interest in the art of poetry was sparked in 2001 by an author named Emily Dickenson. In 2009 literally he was schooled under a movement called depth of thought (D.O.T) based in Pretoria. In the last 3 years Ahimsa has been active crafting his poetic literature to be a symbol of his worldview a personal art symbolism. NoLIFE(Nobody Lives ForEver) aka Carlos Is a rapper and predominantly a poet since his discovery of the WordnSound platform in the year 2011 in which He was influenced by the likes of Masai Dabula. His poetry revolves around social surrealism, religious criticism and scientific horror-core. He has been writing since the age of 9, and has been encroaching since then. Masai Dabula is a freelance journalist, painter and fulltime poet and writer. He started writing and performing in the year 2000. In the year 2011 some of his poetry was published in an anthology called ‘The Grounds Ear’. He is the current Word n Sound King Of The Mic and has performed in a number of stages in Johannesburg and other provinces. Masai is also an activist and is currently working with different organisations in his township that aid various social ills that affect his community. Mpho Khosi was born in Orlando East, Soweto, In 2006 he had an anthology of poetry co-published with Frank Manake offering portraits in a title called “PORTRAITS OF PROPAGANDA”. 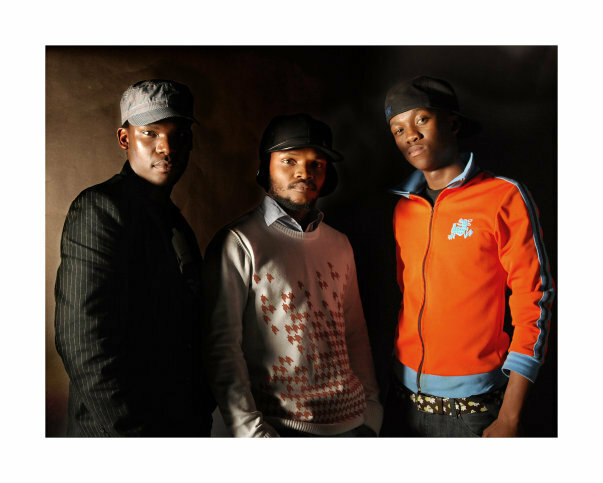 Mpho started performing in the year 2011 on the Word N Sound stage where he finished as one of the top ten performers at the end of that year. He’s performed in places like Swaziland, Joburg Theatre, State Theatre in Pretoria, The Bat Centre in Durban and several other venues within Joburg and Pretoria. Mpho has shared the stage with an arsenal of excellent poets, from the young up and coming to the already established poets in the South African poetry scene. KB aka Kilobyte is currently a Civil Engineering student at The University of Pretoria and a member of Penseed Poets based in the same city. He is a former Opera singer and has been writing and performing poetry for the past 8 years. He is also the official Poet for all national holiday events hosted by the South African National Treasury. KB has performed internationally in Mauritius, Zimbabwe and Botswana and has performed alongside legendary RSA artists including Vusi Mahlasela and Mak Manaka to name a few. Born in the Eastern Cape, Bonga Ndziweni like all the other kids wanted to be a doctor or a teacher and at the time had no idea that poetry even existed. In 2001 he moved to Joburg but it would only be around 2005/6 that he was introduced to poetry and like the perfect love Story they’ve been together since. An artist and optimist Bonga’s poetry is often a parody of itself, depicting depth as comical ‘shallowness’. He has been performing for 3 years now, won slams and has performed around S.A.
importantly Vuyelwa’s focus is on Women’s stories and voices. As a Black and youthful female voice it is of interest to articulate my life experiences. The Word and Sound stage has been a significant platform for Vuyelwa’s poetry by allowing her a space to be heard, to grow and to evolve! Born and raised in Vaalkop, a small village in Ga-Mashashane,Limpopo; 21 year old DiemaDika as known by fellow poets and fans is slowly becoming the love of Bapedi people. Delivering his poems in Vernacular and showing pride in his language and culture, Diema is an exceptionally talented artist. Forced to juggle modelling, University and Music; he dreams of one day being part of the Mopedi music revolution in Limpopo. Believing that poetry has the power to heal, power to teach and power to enhance, this young man has followed a path of stages to teach and educate the public. Currently, he has joined up with Kempton park based producer ‘’D’’ to bring the public the best of fresh never-heard-before music! His very first single ‘’kgarebe la mopedi’’ is taking the masses by surprise, and he will be releasing his first ever Ep ‘’ke fihlile’’ end of October. 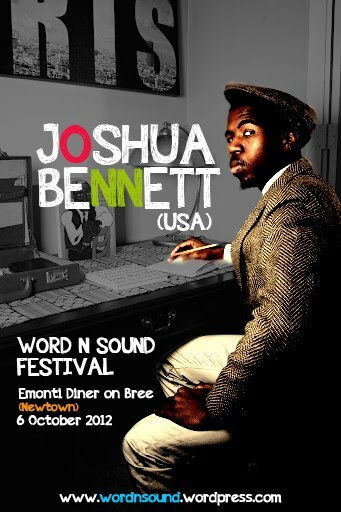 Award winning US Poet Joshua Bennett has confirmed his headline appearance at the second edition of the annual Word N Sound Poetry and Live Music Festival. Schedule for 6 October in Newtown, the Festival will showcase new breed poetry and live music breaking ground in Gauteng. Joshua Bennett is an award winning performance poet from Yonkers, NY. He has recited his original work at events such as President Obama’s Evening of Poetry and Music at the White House, The Sundance Film Festival, The NAACP Image Awards, the ESPN documentary One Night in Vegas, and alongside former U.S. Poet Laureates Billy Collins and Rita Dove at the Institute for Advanced Study in Princeton, NJ. In addition, he was a featured poet on the original cast of the HBO series Brave New Voices. He also was commissioned to create an original work for Ralph Lauren’s RUGBY ad campaign, The Rugby Poets Club. The event day will end with a highly anticipated performance by Joshua Bennett and various local poets (names to be released closer to the festival) including Afurakan, a local slam poet and arts activists. A creative arts market will provide patrons with insight into the Joburg crafts and publishing scene. Simply described, the Word N Sound Festival is like a shot of lemon straight to the head and will leave spoken word enthusiasts entertained, inspired and with food for thought to take home.